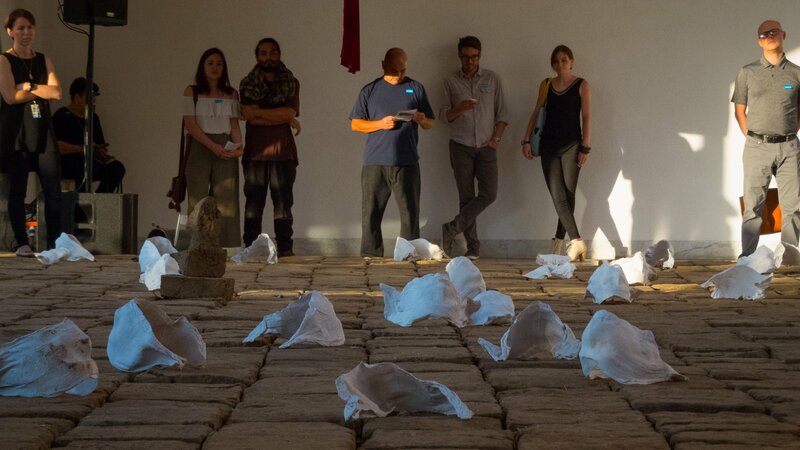 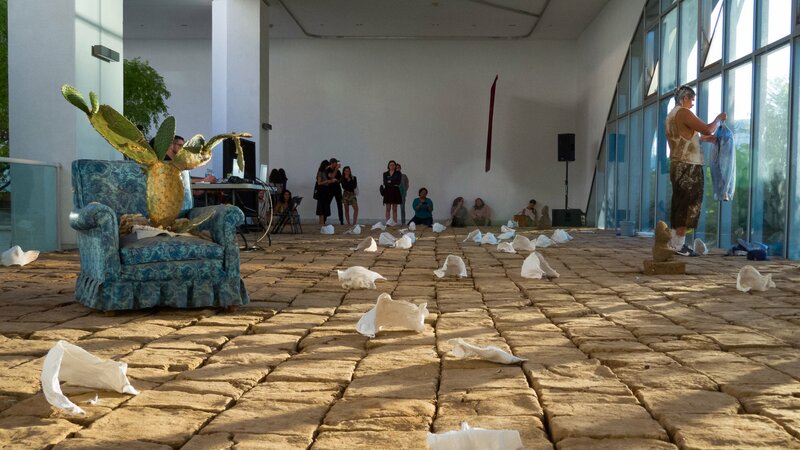 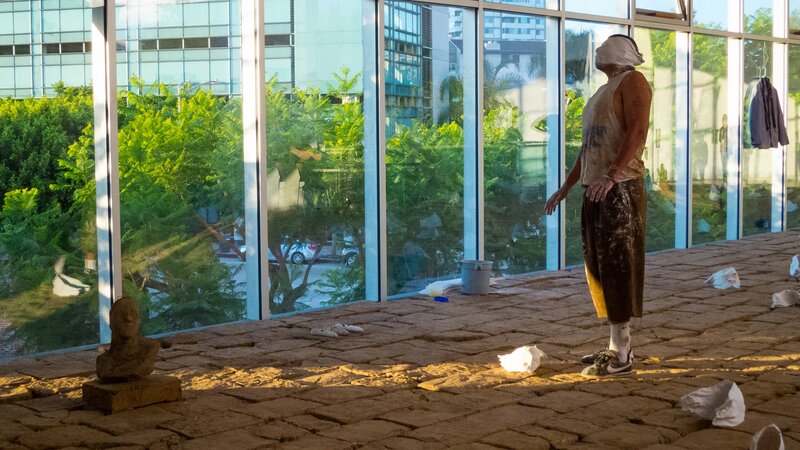 mas gestos y mas caras is a durational work that narrates the conditions of invisibility and presence through sound and the processes of masking and molding. 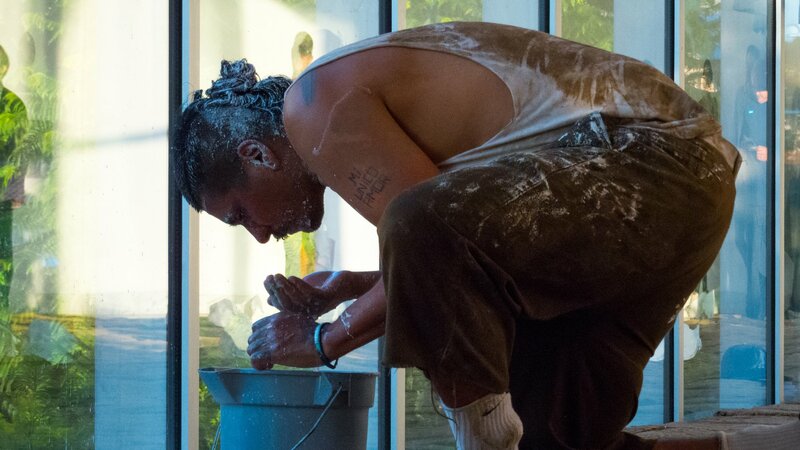 Dependent on the use of plaster bandages to obstruct Rafa Esparza’s breathing throughout the day, the work amassed an accumulation of white hollow plaster shells embedded with the artist’s “faces,” the contortions enabling him to breath during each molding period. 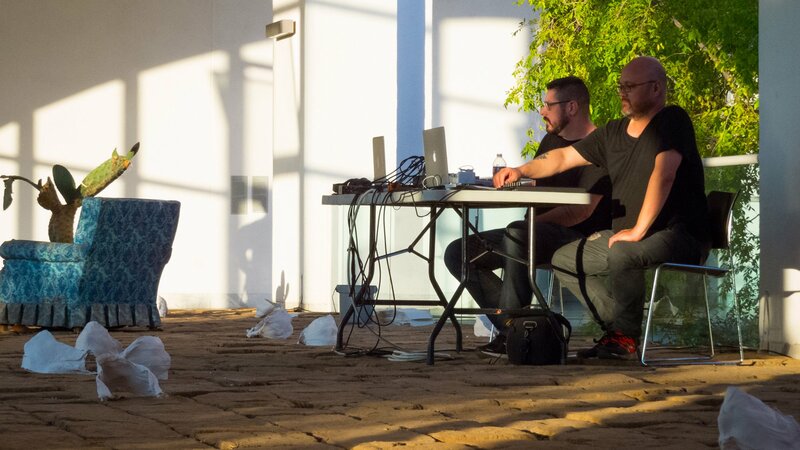 Together on the adobe ground, Robert Crouch and Yann Novak share the duration of the day with Esparza, working with his body, pulling and recording sound from it and then synthesizing the sound, mixing it and at times signaling it back to Esparza, as a chance for intimate exchange, within an expanding public auditorium of recorded and fleeting gestures.